As the gold price begins a slow recovery from its record highs, and the eventual record falls, it experience over the past 12 months, the industry has continued to expand. In the latest Gold and Silver Mining focus report from Metals Focus, it outlines the very different picture painted across the world, and how the price fall has affected the major producers. These past six months have been the hardest on record for some time for gold miners and countries that are a major export of the metal. Formerly gold itself was skyrocketing in price and reaching new highs, having climbed consistently and rapidly since 2006 and not even slowing its ascent for the global financial crisis. 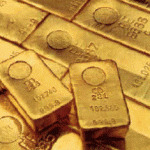 IBISWorld explained that "investors across the world flocked to gold as a safe monetary asset as the value of the global financial assets and currency tumbled; this sudden increase in demand caused global gold prices to surge". Gold rose and finally settled at a peak of $1730 per ounce in September 2011, dipping slightly before seeing a late resurgence a year later in October 2012 to reach $1700 again before sliding off once more. This period has been the first since the 2007-8 that gold's growth in revenue has actively shrunk, with a 2.2 per cent decline in revenue. This recent negativity has already played out across the sector with many gold miners cutting jobs or scaling back expansions and operations. From next year through to 2019 there is a predicted annual growth rate of revenue of only 2 per cent, a marked difference from the period leading up to 2014, which saw an annual growth rate of 5.4 per cent. However in the meantime the situation has been varied globally. As we have noted in previous articles, world gold production grew by around 5% compared with 2012 and Metals Focus anticipates a smaller further rise in global gold output in the current year, although the effects of the lower gold prices of the past two years may start to kick in in 2015 and we could start to see a period of secular decline in new mined gold output from 2015: Even if the gold price recovers as it will take time to re-implement deferred mining projects, or re-open shuttered operations. For 2013 China comfortably retained its position as the world’s No. 1 gold producing country with a figure some 65% higher than second placed Australia. 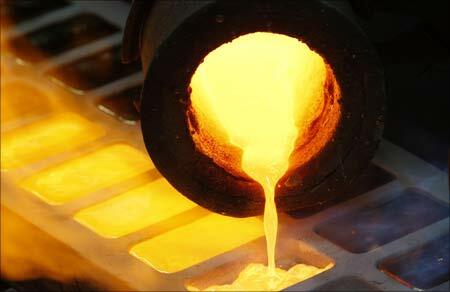 However according to IBISWorld "Australia's gold production is expected to increase over the five years through to 2018-19", adding that "significant contributions will be made by the Tropicana joint venture project involving AngloGold Ashanti and Independence Group which will yield 320 000 to 350 000 troy ounces at full production; the continued ramp-up of Newcrest's Cadia East mine (which will add 700 000 troy ounces at full production), Mungana Goldmine's Chillagoe project (160 00 troy ounces); and Tanami Gold's Central Tanami project (160 000 troy ounces)" despite recent lay-offs. 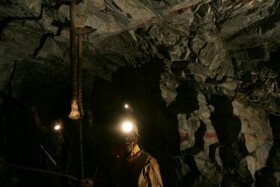 Looking ahead, South Africa, which dominated world gold output for almost a century up until the 1970s may not be able to hang on to its regained 5th place as the country’s aging mines are mostly seeing falling grades. Increasing uncertainty in the market, caused by the Ukrainian crisis has seen a slight impact on gold, with the Canadian Bank expecting that gold will rally again this year and in turn drive production. As to top gold producing companies, Barrick Gold comfortably retained its top position ahead of Newmont and AngloGold Ashanti despite a 3% fall in output largely due to fairly sharp decline at Goldstrike in Nevada and Veladero in Argentina. Barrick will also likely see production fall this coming year following its divestment of its Australian gold assets and the greater focus on its copper plays. However despite this slight production fall the miner recorded a massive net profit fall, dropping 90% year on year. Gold Fields fell down the table sharply, but that was due to the divestment of Sibanye Gold which came in as a new company at No.9. knocking Harmony down a place to 10th spot. With the take-over of Osisko, Agnico Eagle and Yamana could just work their way into the top 10 in 2014, while growing producers like Randgold Resources will be knocking on the door! This article originally appeared in part on Mine Web. 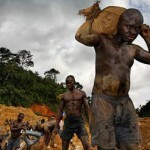 ​To read more daily international mining and finance news click here.